Tamworth has been shortlisted for three top awards in a Midlands-wide competition recognising the best of the best in arts and entertainment – and your votes are now needed to bring the titles home. Tamworth Castle, the borough council’s Tamworth Arts in Unusual Spaces initiative and the town’s popular Food Gusto Festival have all been shortlisted for honours in the 2019 What’s On Readers’ Awards after being nominated by readers of the arts and entertainment guide. Our landmark Tamworth Castle has made it to the final line-up in the Best Visitor Attraction in Staffordshire category alongside some of the region’s top tourist destinations. It will be competing for the title against Alton Towers, Cannock Chase Visitors Centre, Lichfield Cathedral, Drayton Manor Theme Park and the National Memorial Arboretum. The two-year Tamworth Arts in Unusual Spaces initiative, organised by the council’s Arts & Events team, has been shortlisted for Best Staffordshire Arts Festival, against Big Feast Stoke-on-Trent, Lichfield Festival, Stafford Arts Festival and Stoke Literary Festival. Arts in Unusual Spaces, developed by the council’s Arts & Events team, has seen art popping up in unusual spaces across the town through a variety of innovative and ambitious community arts projects. It brought a number of great events to the town including the Mercian Mosaic, bus shelter art, the poppy cascade at Tamworth Castle, theatre in new community locations, a film depicting a day in the life of Tamworth, an original WW1 commemorative song performed by local choirs and a brand new statue of our Lady of the Mercians, Aethelflaed. The project was made possible thanks to a £68,000 grant from Arts Council England, with match funding from Tamworth Borough Council and community partners. This year Tamworth’s popular food festival, organised by Food Gusto, has also been nominated in the Best Staffordshire Food Festival category. Others shortlisted in the category include the Great British Food Festival, Lichfield Food Festival, Stafford Cheese and Ale Festival and Stone Food and Drink Festival. The annual event has brought dozens of artisan and specialist producers from across the region to the Castle Grounds in a two-day celebration of great food and drink, alongside live music and family entertainment. Thousands of people voted in the What’s On Readers’ Awards to determine the county and regional finalists and winners will now be decided through online voting by members of the public, open until March 3. 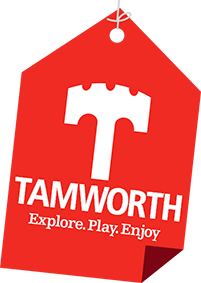 Cllr Steve Claymore, Tamworth Borough Council’s Cabinet member for Heritage and Growth, said: “It’s great that Tamworth is being recognised and nominated alongside some of the region’s top attractions as a place to visit with a fantastic offer. Votes can be cast by selecting the Staffordshire category of the awards at www.whatsonlive.co.uk/readers-awards-2019 before the closing date of March 3. Winners will be revealed a few weeks later.